All Franchise Partners are supplied with a marketing Tool Kit that includes various forms of promotional material, which are used to facilitate building their local business whilst being backed by mainstream branding campaigns. As well as this there is an ongoing marketing fund administered by franchisees to secure both event activity as well as daily run work. You’re not alone! Our team of Franchise Development Managers will provide you with the Initial Training to get your business up and going. A FDM will then be assigned to you during the duration of your time with the franchise. With the extensive training program we provide as well as the systems, procedures and support Cafe2U have in place you don’t need to bring any specific skills to the table. What we are looking for in franchise partners is enthusiasm, work ethic and a genuine drive for success - all you need to do is bring your smile. 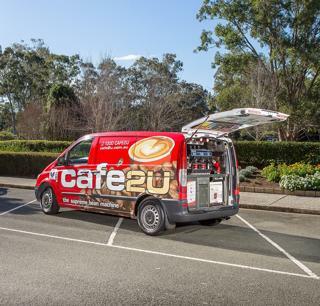 Cafe2U is Australia’s first, and world’s largest mobile café franchise. 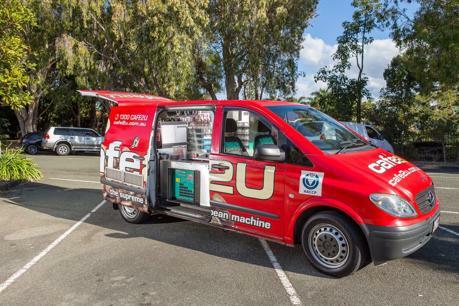 From humble beginnings in 2004 with one van in Sydney, Cafe2U has pioneered the mobile coffee industry. 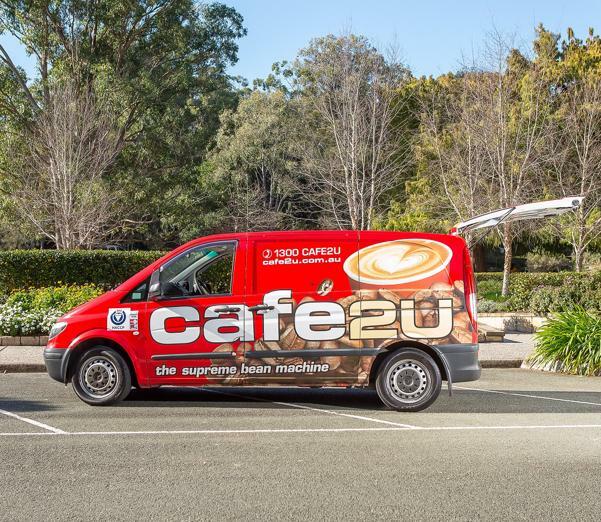 It now boasts more than 250 franchises worldwide plus a Golden Bean award-winning premium coffee blend – exclusive to Cafe2U. Today over 150 Australians are running their own successful mobile coffee van business using the Cafe2U franchise system without the hassle of landlords, staff or rent. There are no hidden set up costs. 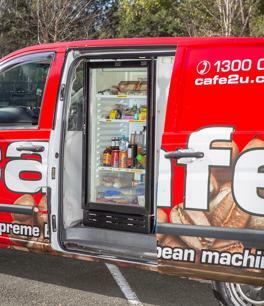 This includes the Mercedes Benz van and espresso coffee equipment. 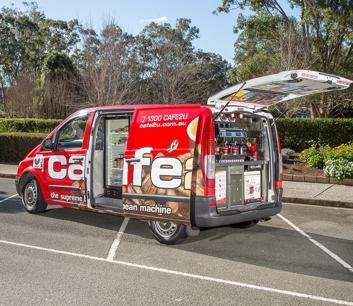 Existing Franchise opportunities will allow you to build on the solid customer base of our Franchise Partners. Territories are tightly held and this is a great opportunity to take on a new challenge with a ‘safety net’ from an established business. In 2017, Cafe2U was recognised in the ‘TopFranchise Top 10’ at the Annual 2017 TopFranchise Awards. The core business is based around the daily servicing of business parks, business centres and industrial estates. These areas are traditionally poorly serviced by cafes and food outlets, in particular those that are able to provide high quality espresso coffee. The Cafe2U business model has been specifically designed to be a successful Monday to Friday operation. 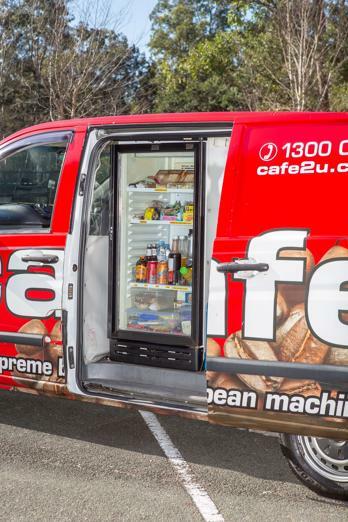 Exclusive territories mean that our franchisees never compete against one another. Event work generally takes place on weekends; however many franchisees service private and corporate functions in the afternoons during the week. Cafe2U is proud to be the pioneer of the mobile cafe industry within Australia launching its first prototype mobile coffee business in the year 2000. 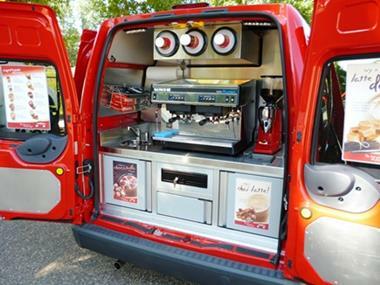 It was with this first vehicle that the mobile cafe concept and potential profitability of this new style of mobile coffee business model were tested and proven. In the years since we have grown to over 128 nationally and we are now spreading the Cafe2U word across the globe with over 200 worldwide.